I felt kind of sheepish wearing my Crater Rims in the grocery store. On my feet were boots that could take on the full Appalachian Trail or the Devil’s Path – but I was walking down the produce aisle. It was like driving a tank in a 10 mph school zone. Wrapping around the upper is the 360° abrasion resistant rand, basically rubber bumper protecting the shoes (similar to what climbing shoes have). 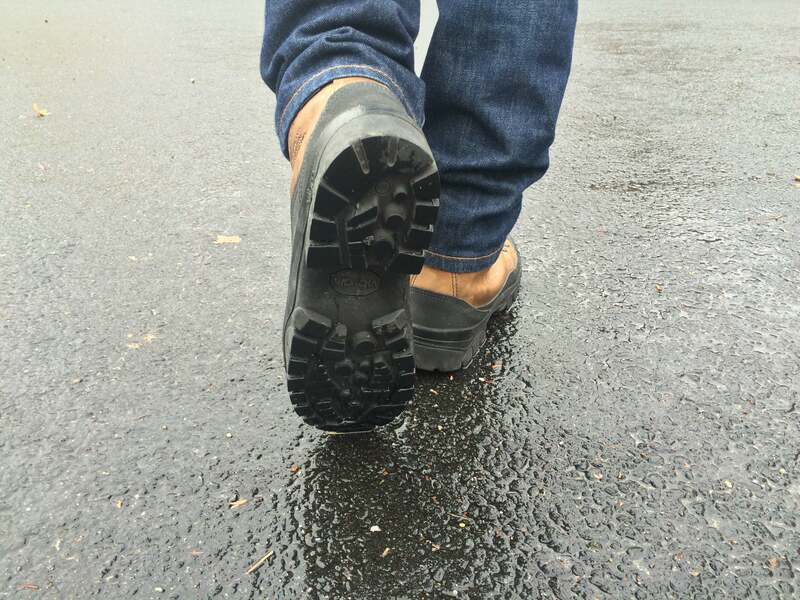 When hiking, the rand protects the shoes from abrasion and scuffs ensuring that your boots look new for a long time. In my opinion, the rubber bumpers on these boots are incredibly practical, but detract from the leather’s natural beauty. If I had to choose between with or without the rand, I’d keep it though. If you’re looking for something with the leather displayed in its full glory, check out the Mountain Light Cascade boots. While these boots are better suited to be worn in the trails or a war zone, they handle walking along Park Avenue with ease as well. Living on the edge of NYC, I’ve worn the Crater Rims during day trips to Manhattan. While these boots aren’t specifically made for winter, you could get away with wearing these boots in the winter, that is unless you live somewhere like Alaska. (But then again, how many people live in Alaska?) These Danners do not have insulation, unlike the Thinsulate insulated Blundstone boots and Partelana fleece insulated Lowa Oslo boots. If you wear the Crater Rims with a thick pair of wool socks, you should be good to go down to the negatives, although I haven’t personally tested this out yet. I’ll update this review once it gets colder. These boots are completely waterproof. The Gore-Tex membrane extends all the way to the ankle, ensuring that water won’t seep in even if you’re stepping in deep puddles. I’ve stepped in ankle deep water and my feet stayed dry. Even if the boots didn’t have a Gore-Tex membrane, they’d still be able to shed water pretty well. I’ve also applied some Nikwax to my Crater Rims just to make them even more impregnable. I feel like a superhero. The fit of a boot obviously depends on the shape of your foot. Some say the Danner Crater Rims have the best fit ever, and others say they’re too narrow or too wide at the heel area. From my experience, the Crater Rims’ fit isn’t 100% perfect, but better than most boots. I have a pretty average shaped foot, normal (medium) arch, normal width. I opted for the Crater Rims in size 9 regular width. The boots are true to size. I’m also a size 9 in other boot brands like Lowa, Timberland and Cat Footwear. 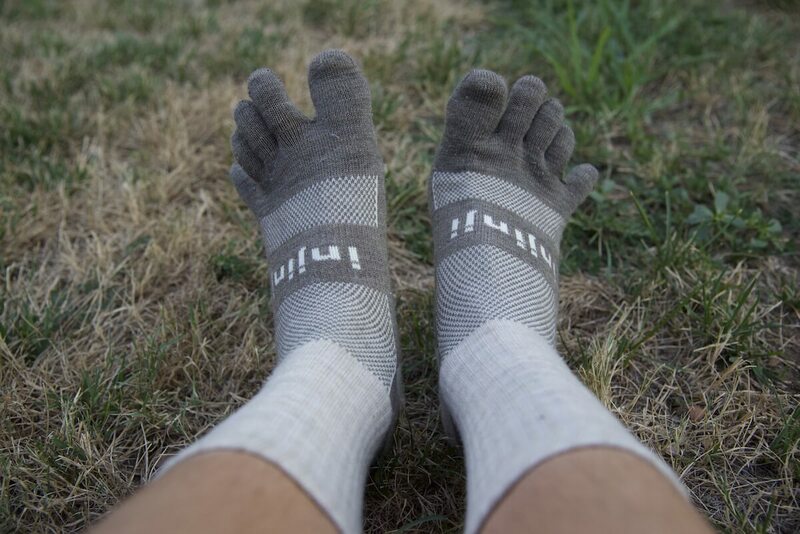 There’s enough room for me to wear a pair of merino wool socks, my sock of choice being the Injinji Outdoor Nuwool toe socks. The Crater Rims have ample arch support as well as ankle support. The laces also make it easy to customize the fit. The more I’ve worn the boots, the more comfortable they’ve become. What makes the fit of the Danners not quite perfect is that the vamp (the upper front part of a boot) feels a bit too high. It’s a bit hard to visualize, so I’ve made a quick diagram. There’s probably an insole which I could use to counteract that, but it’s not that major of an issue. Maybe I just have very low feet. The high vamp doesn’t make the boots uncomfortable, but my feet feel a bit less locked in. The high vamp, does come with a benefit though: I found the boots surprisingly easy to put on and take off, contrary to what some other reviewers have said. The heel area could be a bit snugger as well. Honestly, I prefer the way the Lowa Oslo GTX boots fit on my feet. Lowa boots in the same size as the Danners feel a bit more snug without being restricting and my feet feel more locked in. 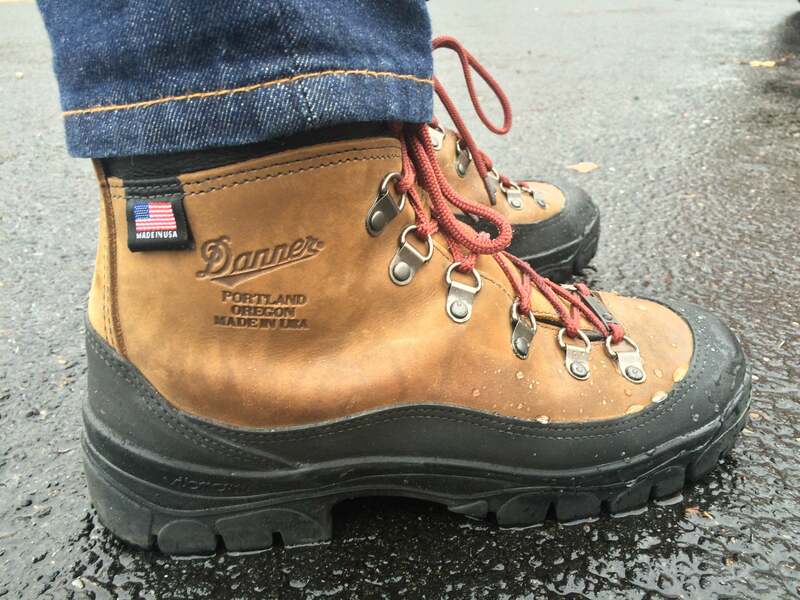 My issue with the Danner boots’ fit is very minor and probably specific to my foot, so it’s not something that would be a deal breaker for me. 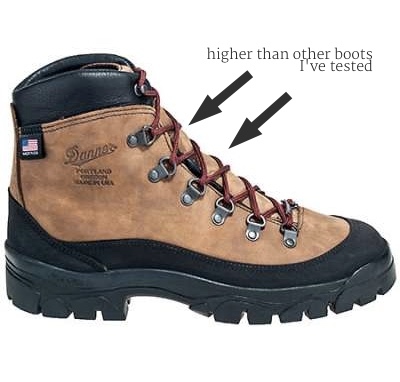 If you need help figuring out your size, you can check out the Danner website, then click the “See How It Fits” button above the “Add to Cart” button. I used that feature and it was pretty accurate. Heavy, 3 lbs. 11 oz. These boots were built to be tough, which means they’re pretty heavy. A pair in size 9 weigh a full 3 pounds 11 ounces according to my very accurate kitchen scale (not regurgitated from manufacture’s specs. 🙂 ). In comparison, a pair of Lowa Oslo boots in size 9 weighs 2 pounds, 8 ounces. If “one pound on your feet equals five pounds on your back”, then wearing the Crater Rims is about the equivalent of wearing a 18.5 pound backpack. If you really need the support, protection and durability that the Crater Rims offer, go for it. 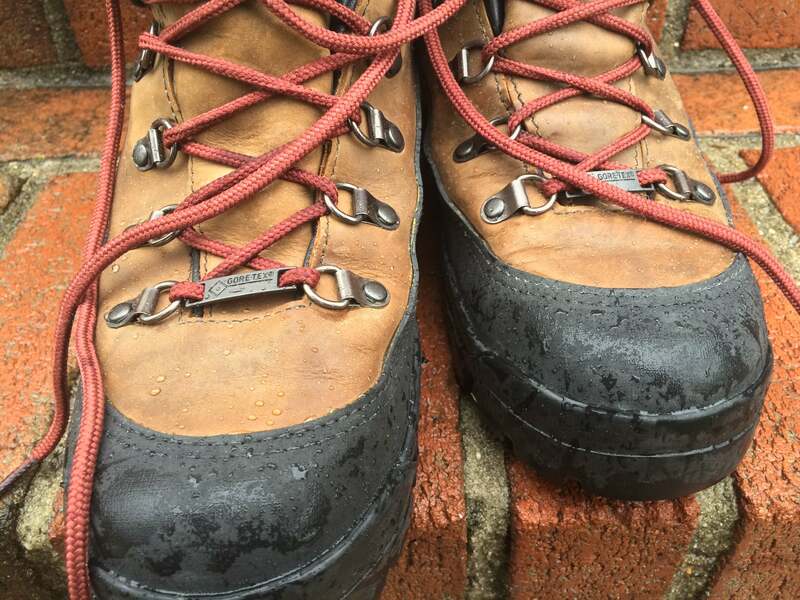 Trust me, you won’t have any issues with durability when backpacking, hiking or traveling with these boots. The Crater Rim GTX Boots from Danner are top notch boots, ideal for adventure travelers, backpackers and hikers. 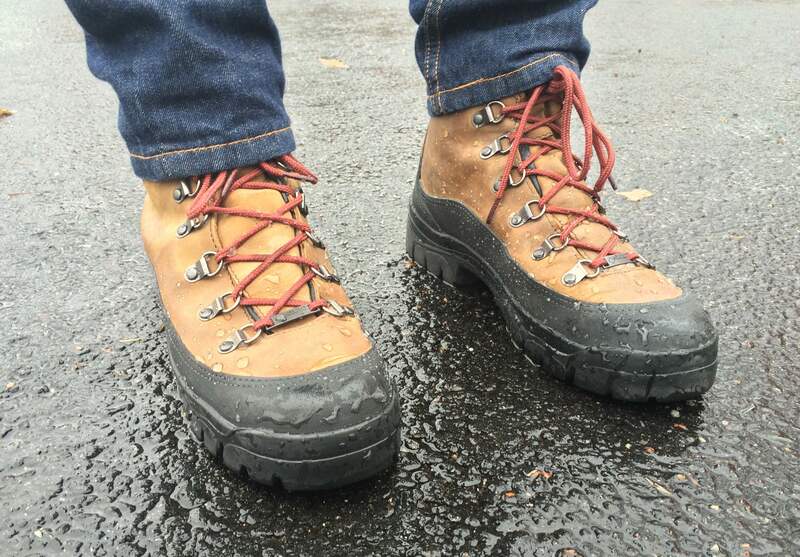 If your looking for a lot of support in an indestructible package, the Crater Rim boots are your best bet. 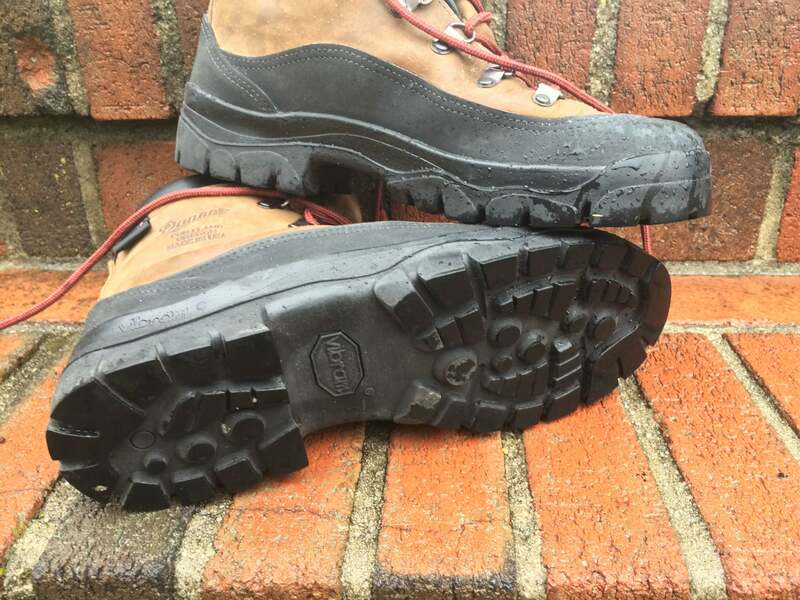 These boots come at $330 on Danner.com and around $300 on REI and Amazon.com. The price point is pretty steep, but I’ve rated the value of these boots at 8/10 because they are made to last. 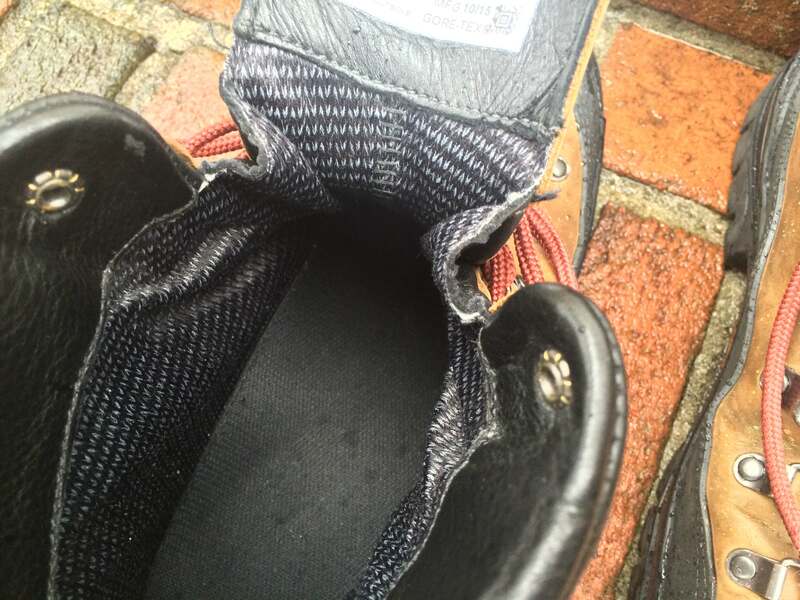 Plus, Danner can repair your boots if you ever run into an issue. Have any questions about the Danner Crater Rim GTX Boots? Leave your comment below.